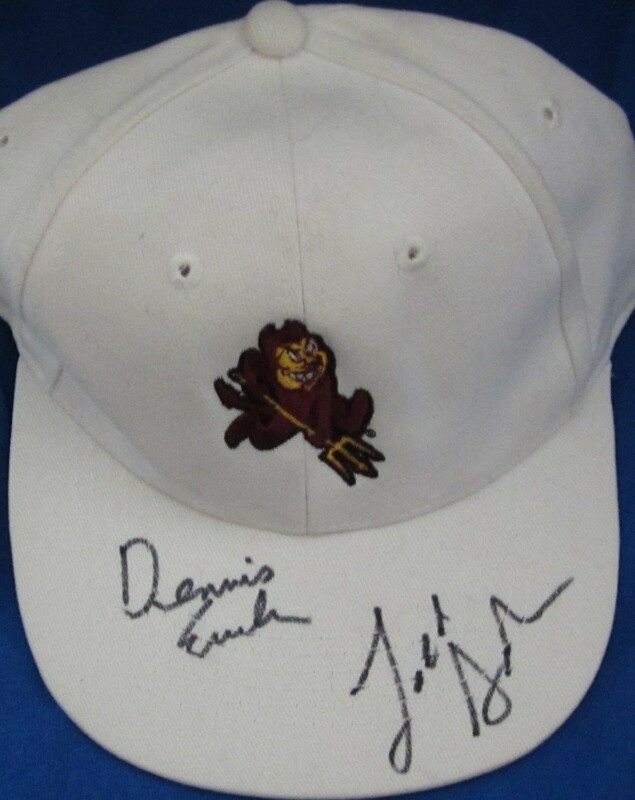 Arizona State Sun Devils embroidered cap or hat autographed in black marker on the bill by Todd Graham and Dennis Erickson, who were named Pac 12 Coach of the Year in 2013 and 2007, respectively. Obtained in person. With certificate of authenticity from AutographsForSale.com. ONLY ONE AVAILABLE FOR SALE.